They blog about all things outdoors, including fitness, adventure and outdoor activities, and share their photography too. 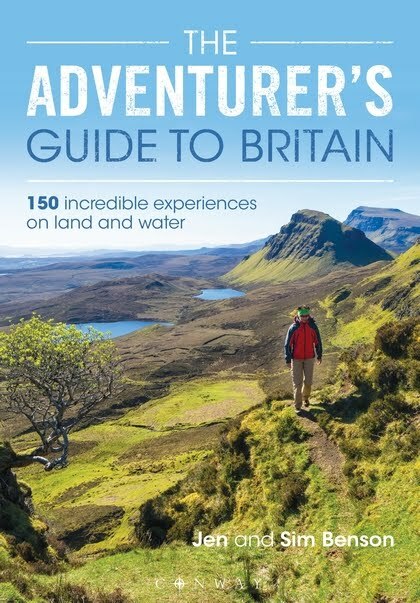 They have just had a new book published, which is called An Adventurer's Guide to Britain. Here's a description of the book, which looks like it would be worth seeking out to get some ideas for the summer to come. This exciting, inspiring and informative guide is perfect for anyone who loves a challenge and an adventure. There are soaring ridgelines to run, exciting river descents to swim, secret coves to explore by boat, and achievable interesting scrambles, all in stunning locations.